SEE IT ALL AND SEE IT BETTER. 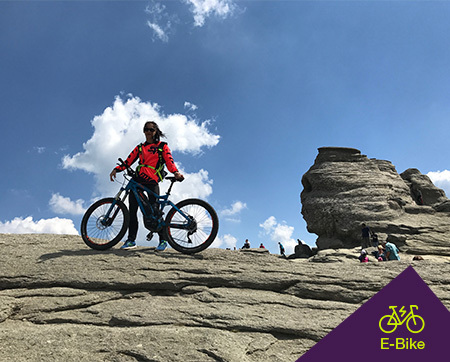 THE EBIKE IS THE ABSOLUTE BEST WAY FOR SIGHTSEEING. Conquer Romania’s second highest peak. On your bike. With a smile. 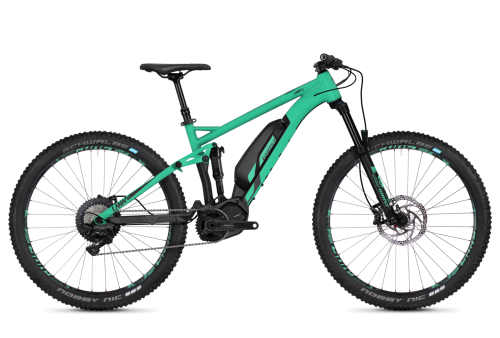 It’s all possible with our new generation full suspension Ebikes. Uphill has never been so enyojable and you have to fell it to believe it! 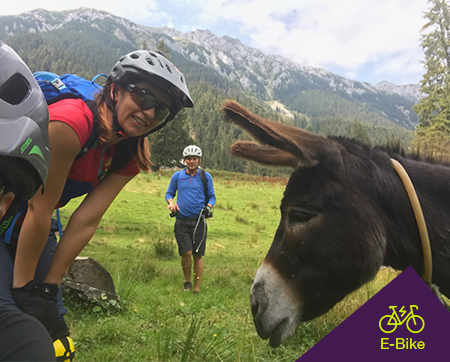 See Brașov like no day tour has ever seen it before! 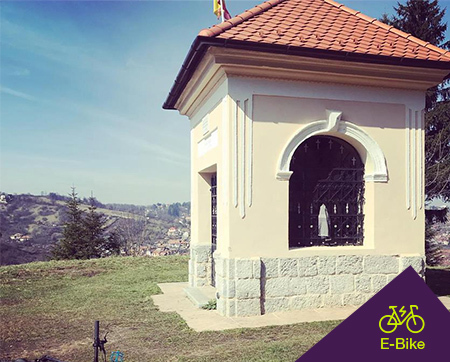 Ride your E-bike from hill to hill for amazing vistas and a full city tour in just a couple of hours. You’ll never want to go on a walking tour again. The prettiest tour of the year. For one week in June the mountains explode with rhododendron and we go up daily to marvel at it. In 2018, daily trips from June 14th to June 20th. 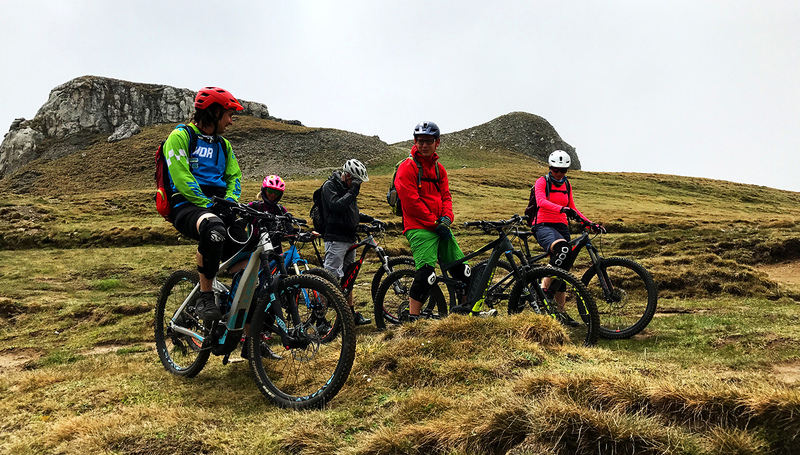 One of the friendliest and most accessible mountain paths, a delight if you take the tour on an Ebike. Rivers, canyons, rustic mountain cabins and the occasional wild life encounter (deers, squirrels, goats, nothing you’d need to wrestle). 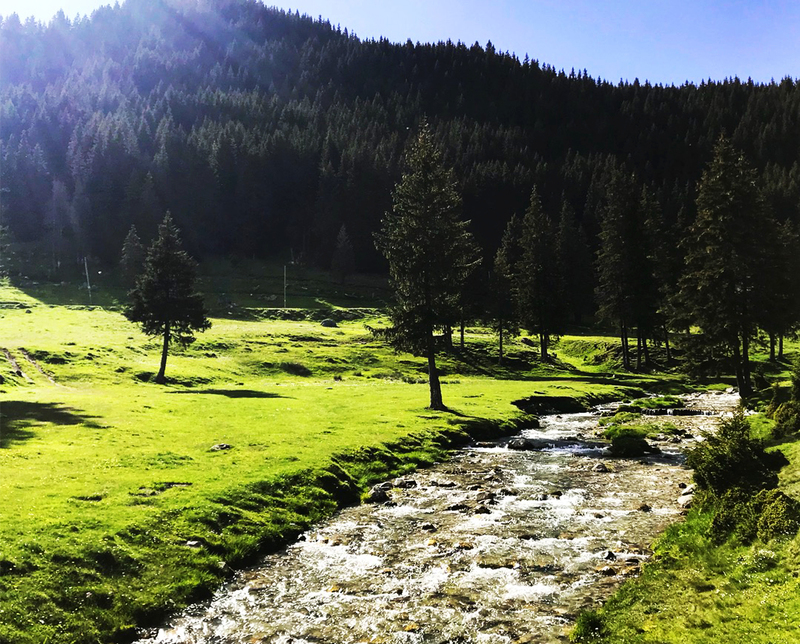 At the border of Valea Prahovei and Transylvania there is a magical trail that lets you see the Bucegi mountains like nowhere else. Short uphill trip, lunch with a spectacular view and then a bike stroll though the Carpathian Garden. 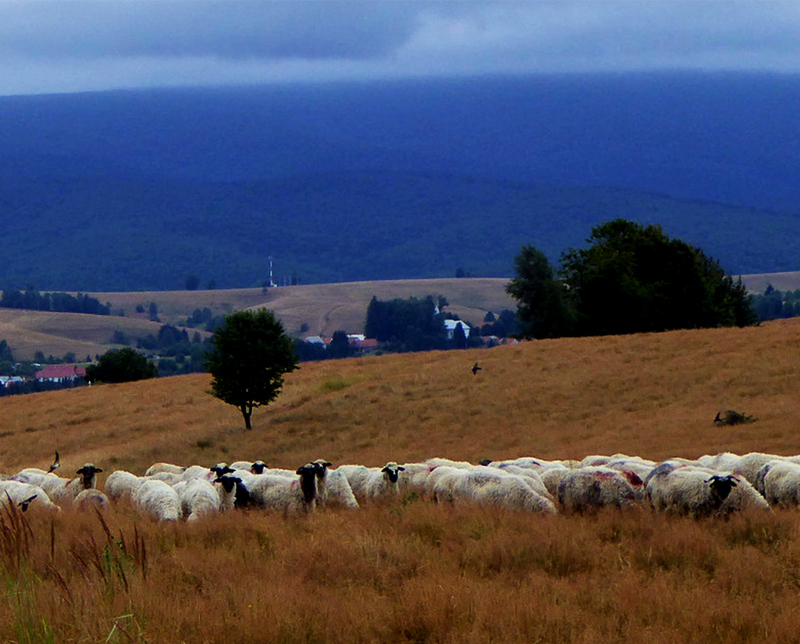 A 2 day tour that covers up to 80 beautiful kilometers of the area around Viscri, Saschiz, Mercheașa and Racoș. World UNESCO Heritage Sites, eat at a real Shepherd’s fold, visit a 930 year old Oak Tree, checkout the Emerald Lake and Basalt Columns. 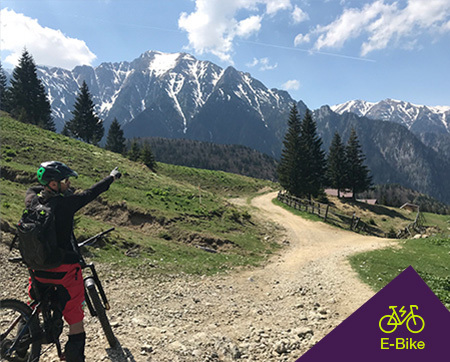 Probably the best get-to-know-your-ebike tour for anyone from beginners to experienced cyclists. Loops of ups and downs around the famous resort, always in the beautiful woods. Unbelievable views and untamed nature, with a warm fire and local flavors waiting at the end of the day. 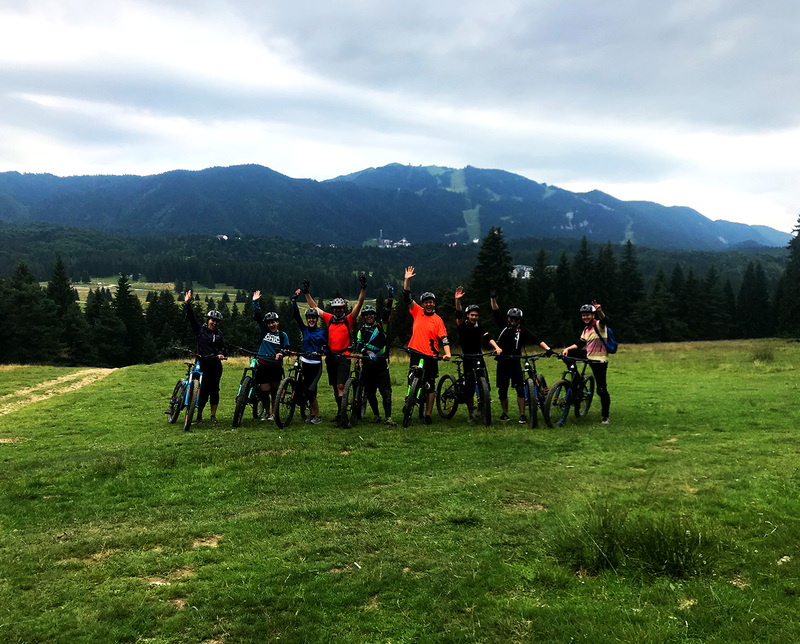 Two days of epic riding through the Semenic mountains. 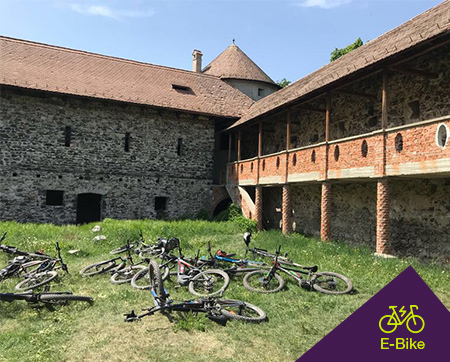 A full day that will take you across mountain lakes, up to amazing panorama views, deep into high ancient caves and around an unexpected monastery. Perfect balance between downhill efficiency and uphill guzzling. 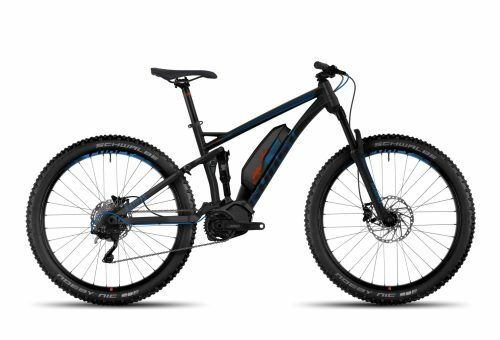 Thick Plus tires for riding pleasure and safety with a powerful Shimano STEPS 8000 motor. You will love riding this elegant beast! A woman-specific geometry for confidence-raising handling, contact points adapted to the female anatomy for superb riding comfort and a butter-soft set-up of high-quality suspension (140 mm/140 mm) and 27.5 plus tire. And under the hood, the powerful Shimano DU-E8000 performs its services confidently and almost silently. 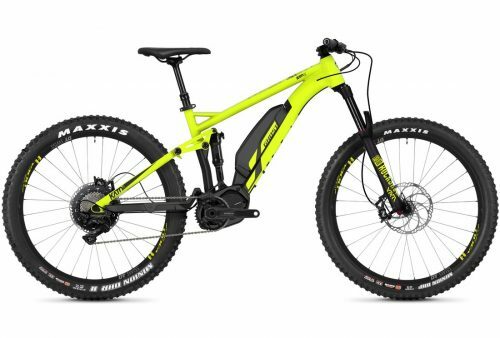 Even if a balancing act belongs more to the field of gymnastics, the potent E-MTB KATO FS nevertheless manages it: namely the balance between downhill efficiency and uphill guzzling. 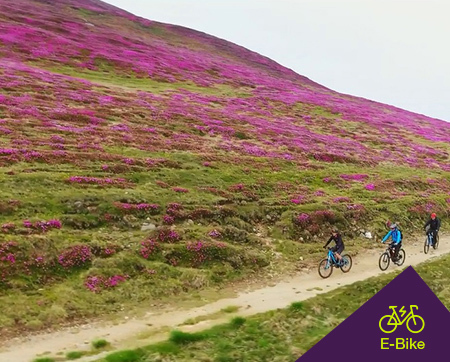 You cannot expect anything else from an all-mountain bike!